In his verbal attacks on civil society groups in Macedonia, the leader of the ruling VMRO DPMNE party, Nikola Gruevski, has failed to mention that many of his closest associates and supporters were once affiliated to or senior members of the same NGOs, some media say. Read more. The choice of the next president could become a power struggle within the ruling coalition, which is also expected to name a candidate without seeking opposition backing. Read more. Most Balkan states will be slightly better off at the end of this year than they were at the beginning - despite the best efforts of the political class to keep tensions on the boil. Read the full comment piece. Members of ISIS published a video on social networks on Monday showing the Hayan gas plant, partly owned by Croatian energy company INA, in Syria allegedly being blown up. The gas plant, 100 kilometres east of the Syrian city of Homs, was opened in January 2012, but was closed after only 57 days because of the activities of rebel and ISIS forces in the region. The explosion has still not been officially confirmed. The Office of the Croatian President, Kolinda Grabar Kitarovic, changed the announcement over the weekend of her visit to the US, showing it had been extended by two days. The initial schedule, announced on New Year’s Eve, stated that Grabar Kitarovic would be in the US from January 1-5, but was updated showing she would stay until January 7. Her visit was already surrounded in controversy over alleged non-transparency prior to the altering of the dates, as it was not made clear to the public what the purpose of her travel plans were and who she would be meeting with. In setting key conditions for their participation in a future coalition government, Macedonia’s ethnic Albanian parties seem to be making a diplomatic move aimed at creating difficulties for the ruling for VMRO-DPMNE party to form a new government, Macedonia’s former Prime Minister Nikola Gruevski told daily 'Dnevnik' newspaper in an interview. Today is the final deadline for Macedonian President Gjorge Ivanov to offer a mandate for the formation of a new government to one of two would-be prime ministers, ex-Prime Minister and VMRO DPMNE leader Gruevski or opposition Social Democrat chief Zoran Zaev. 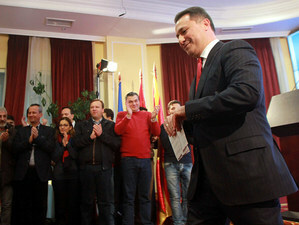 VMRO won 51 seats in the parliament in the election while the opposition Social Democrats finished with 49. 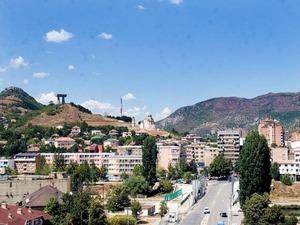 The small country of Georgia in the South Caucasus is envisioning itself as the new player in Europe and in the global economy due to its geographic position, the new Georgian State Minister of European and Euro-Atlantic Integration, David Bakradze, said in an article published in New Europe on Monday. Referring to the Trans-Anatolian Natural Gas Pipeline project that will bring resourced from the Caspian Sea region to Europe - particularly to Southeastern Europe, which is greatly dependent on Russian energy supplies and especially natural gas - the minister also emphasised that Washington plays a role as well in Georgia a country with a future role in the European region. Croatia’s Foreign Minister, Davor Ivo Stier, confirmed on Monday that Hayan gas plant located in Syria and partly owned by Croatian energy giant INA, was blown up by ISIS. He said that the ministry will seek further information on the incident, as well as the estimation of damages to the plant. The Serbian government will pass a decree today abolishing the law on the formation of auxiliary police, and the unit envisaged to be formed under it will not be set up, Serbia’s Interior Minister Nebojsa Stefanovic told media on Monday. According to Stefanovic, the idea for the formation of an auxiliary police units was not intended to be a way to form a police squad linked to the ruling party - as Serbian opposition parties had claimed - as potential candidates for the unit would need to finish training at the police academy in order to get employed in the proposed formation. The plan for an auxiliary police unit was cancelled because of objections to it from the opposition, which, according to Stefanovic, had become too strong to be opposed by the majority. A French court will decide on Thursday whether former Kosovo Prime Minister and Alliance for the Future of Kosovo, AAK, party leader Ramush Haradinaj will be granted conditional release after being arrested in France on warrant issued by Serbia for alleged war crimes, Haradinaj's lawyer, Arianit Koci, told media on Monday. According to Koci, Haradinaj should be released, on the condition that he remains in France until the end of the procedure against him. The French court had earlier announced that Haradinaj will remain in custody until Serbia submits a formal extradition request. The French Foreign Ministry said that action taken against Kosovo former PM Ramush Haradinaj relates to the judicial proceedings initiated by Interpol’s request, Kosovo's Gazeta Express reported on Monday. "It does not have any political implications and does not change France’s consistent policy or its support for reconciliation in the region and the implementation of the dialogue between Belgrade and Pristina. France attaches the utmost importance to the continuation of both," the ministry said. Martin Shkreli, who once described himself as 'the most successful Albanian on earth' - and gained infamy for hiking the price of an AIDS drug - is back in hot water after being barred from Twitter for trolling a journalist. Read more. After a year of political turbulence, Croatia expects more stability in its politics, economy and foreign relations in 2017, although the local elections could pose a test. Read more. The government has vowed to take action after a report revealed an massive increase in the number and sophistication of hacking attacks in Montenegro in 2016 on portals and websites of state institutions. Read more. 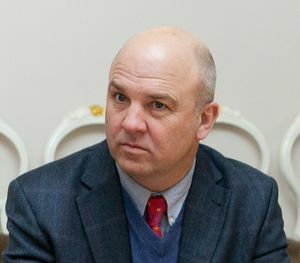 The Council of Europe’s Human Rights Commissioner Nils Muiznieks took to Facebook to express his concerns over the decision by the High Court in Belgrade to fine Serbian political weekly NIN for damaging the reputation of Serbia’s Interior Minister, Nebojsa Stefanovic, and the possible negative impacts this could have on media freedom in the country. He added that “according to well-established case-law of the European Court, the limits of acceptable criticism are “wider as regards a politician as such than as a private individual”,” stating that “unlike the latter, the former “inevitably and knowingly lays himself open to close scrutiny of their every word and deed and they must consequently display a greater degree of tolerance”. The court ordered NIN to pay Stefanovic 300,000 dinars [2,437 euros] in compensation after it found the weekly guilty of damaging his reputation following the publication of an article in June 2016 on the nocturnal demolitions in Belgrade’s Savamala district. Croatia’s largest telecommunications provider, Hrvatski Telekom, HT, bought 76.53 per cent of the shares in Montenegro’s biggest provider, Montenegrin Telekom. The acquisition, worth 123.5 million euros, will be finalised by the end of January with Montenegrin Telekom’s previous owner, Hungarian operator Magyar Telecom. In the first nine months of 2016, Montenegrin Telecom, which has 588 employees, had an income of 69.4 million euros and was second in its national share of cell phone users and first in the number of fixed telephone users it provided for. The Syrian Observatory for Human Rights reported on Monday that ISIS took responsibility for blowing up the Hayan gas plant in Syria after the terrorist group released a video on Monday showing the destruction of the plant, which is partly owned by Croatian energy company INA. The plant is located some 100 kilometres east from the Syrian city of Homs. 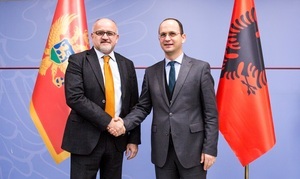 Srdjan Darmanovic paid his first official visit to Albania’s capital, Tirana, in his new post as Montenegro’s Foreign Minister, meeting with his Albanian counterpart, Ditmir Bushati. The ministers discussed the status of Albanians living in Montenegro and the need to strengthen collaboration on cross-border projects between the two countries. 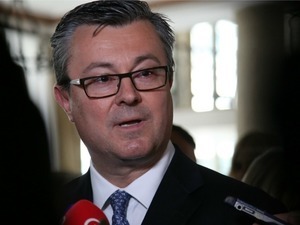 Croatian opposition centre-left Social Democratic Party, SPD, opposes the government’s plan to sell 25 per cent of the state's electricity provider, HEP, in order to buy 49 per cent of the energy company INA from the Hungarian MOL, the party’s president, Davor Bernardic, said for regional N1 television network on Tuesday. Bernardic added that his party will push for a referendum on buying MOL's share of INA if the government insists on "pushing the thing over the edge". The Croatian state agency for science and higher education’s ethics committee – the highest state body monitoring ethical values in science – reported on Tuesday that it deemed that Croatian Science and Education Minister Pavo Barisic plagiarised parts of his science paper 'Does Globalization Threaten Democracy'. The ethics committee made its decision on the case, which caused much public interest in Croatia, on December 28, finding that Barisic had taken parts of US academic Stephen Schlesinger’s work without giving proper attribution. Schlesinger confirmed to Croatian news portal Index in October 2016 that Barisic’s article did not credit him duly, which “therefore constitutes an act of plagiarism”. 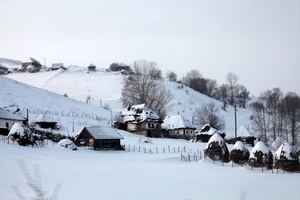 Bulgaria has made a request for the urgent supply of electricity from neighbouring Romania. But Bucharest refused, as consumption has peaked in both countries under unusually fierce winter conditions, EurActiv reported on Tuesday. Bulgaria demanded electricity supplies from Romania on Monday, but the request was denied, Bulgarian media quoted Romanian officials as saying. More than 137,000 Romanians have signed a petition demanding a resignation of Romania’s Ombudsman, Victor Ciorbea. Meanwhile, people rally on Facebook for protests to take place in Bucharest and other cities on Wednesday. 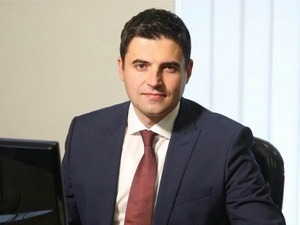 Both initiatives were triggered by Victor Ciorbea’s decision to challenge at the Constitutional Court the law that doesn’t allow a person with a criminal conviction to become a member of the Government, Romania Insider reported. Serbia’s Ministry of Justice sent a formal request to France on Tuesday for the extradition of former Kosovo Prime Minister Ramush Haradinaj, who is currently held in detention in France where he was arrested last week on a Serbian warrant citing war crimes charges. Meanwhile, Kosovo MPs are debating in an extraordinary parliamentary session in which they are expected to issue a resolution requesting Haradinaj’s release. 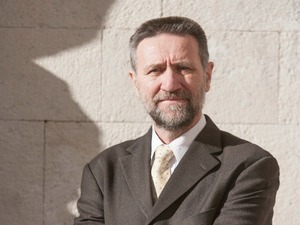 Croatian Science and Education Minister Pavo Barisic stated on Tuesday that his science paper “Does Globalization Threaten Democracy” does not contain plagiarized quotes, after the Croatian state agency for science and higher education’s ethics committee – the highest state body monitoring ethical values in science – reported earlier in the day that it had found the accusations of plagiarism to be true. Barisic claimed that an error in the printing process had caused a mistake with the attributions provided in the paper, but this had been corrected in 2010 before he was reported for alleged plagiarism. The ethics committee decided on December 28, but reported today, that it deemed Barisic had plagiarised parts of his science paper, taking parts of US academic Stephen Schlesinger’s work without giving proper attribution. Serbian Foreign Minister Ivica Dacic told media on Tuesday that information about an alleged plot for Albanian diaspora to takeover a Serbian diplomatic mission in the United States or Europe over the arrest of former Kosovo Prime Minister Ramush Haradinaj was supplied by Western security services from a “big country”. The alleged takeover plot comes amid a recent diplomatic scandal involving Haradinaj’s arrest in France on January 4 on a warrant issued by Serbia for alleged war crimes. Albanian diaspora around the world held protests in reaction to the arrest. The lead prosecutor in the case against two Serbian policemen, Milan Dumanovic and Mladen Trbovic, who allegedly disclosed official secrets to the media about their undercover assignment at the Srebrenica anniversary commemoration in 2015, has been replaced at the requests of the defence after it was discovered she possessed a lighter bearing a logo of the ruling Serbian Progressive Party. Both officers were arrested on December 31 after they spoke to Al Jazeera Balkans in October about their participation in a covert operation in Potocari in Bosnia, where they secretly recorded a commemoration service for the Srebrenica genocide. The Bosnian hamlet of Pester, south of Sarajevo, is without drinking water after temperatures plunged to minus 30 degrees, according to news agency Anadolu. Serbian opposition Democratic Party, DS, announced on Tuesday that it has decided to support the candidacy of the country’s Ombudsman, Sasa Jankovic, in the upcoming presidential elections. Jankovic said in December that he will run for the presidential post in the 2017 election - but will only start his campaign once the election is called, since Serbia needs the institution of the Ombudsman. “I will be the candidate of the citizens. The President reflects the unity of state and nation and not party unity. Parties may and should find their place in the common interest and not vice-versa,” regional N1 network quoted him as saying on December 26. Albanians worldwide have become involved in a protest campaign over the detention in France of former Kosovo PM Ramush Haradinaj - causing an angry reaction from Serbia, which requested his arrest. Read more. The US Senate is to vote on ratifying Montenegro's NATO accession on Wednesday, although some Americans claim that accepting the tiny Balkan country could further damage ties with Russia. Read more. The arrest in France of Kosovo’s ex-PM Ramush Haradinaj on a Serbian warrant highlighted how continuing enmity and non-cooperation between Belgrade and Pristina means war criminals are not facing trial. Read more. Residents of the southern Croatian city of Dubrovnik awoke on Wednesday morning to snow-covered streets, a rarity in its winters. The snow has already caused traffic problems in the city and snow ploughs were brought in to clear the streets. An explosive device was thrown into a government building in the ethnically divided city of Mitrovica in northern Kosovo on Tuesday evening. The building, which is intended to be used as the offices for 15 ministries and other state agencies, had been inaugurated on December 28 by Kosovo’s Minister for Dialogue, Edita Tahiri, who had stated at the time that Kosovo is “extending and consolidating state sovereignty in this part of the country and we are integrating members of the Serb community into the system of the Republic of Kosovo"
Croatia’s former Prime Minister Tihomir Oreskovic could be earning an annual salary of around 800,000 euros having returned to work for the Israeli pharmacy company Teva at its European headquarters in Amsterdam, Croatian news website Tportal reported, quoting unknown sources. 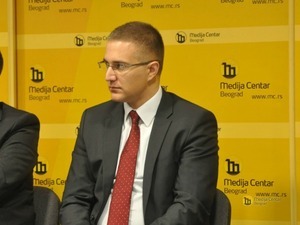 Oreskovic’s return to Teva, where he is the senior vice president for business efficiency, has caused much media interest after the former premier decided to continue receiving the state security measures he is still entitled to until April, which comes at a large expense to Croatia. The Croatian government’s plan to sell 25 per cent of the Croatian state-owned electricity supplier, HEP would not be enough to purchase 49 per cent of the INA energy company, currently in hands of the Hungarian energy giant MOL, according to an analysis by US business journal Bloomberg. 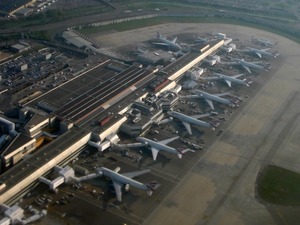 Bloomberg assessed that HEP as a whole is worth around 2.4 billion euros, while INA is worth around 1.8 billion euros. The Croatian government announced on December 24 that the state will buy MOL's share of INA after Croatia lost an arbitration process against MOL in Geneva. Kosovo citizens are staging protests in five cities across the country demanding the release of former Prime Minister and leader of opposition Alliance for the Future of Kosovo, Ramush Haradinaj, who was arrested last week in France on a Serbian warrant for alleged war crimes. Demonstrating under the motto “Against offence and injustice”, the protests are currently taking place in the cities of Prizren, Gjilan/Gnjilane, Peje/Pec, Mitrovica and Gjakova/Djakovica. The largest rallies are those in Peja/Pec and Gjakova/Djakovica, which are located in the region where Haradinaj, a former Kosovo Liberation Army commander, and his party holds strong support. On Friday, a similar protest was staged in the capital, Pristina, where citizens marched towards the French embassy. 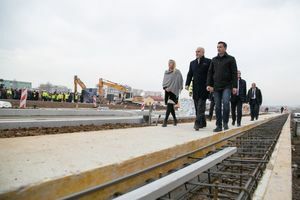 Albania’s Prime Minister, Edi Rama, and the Mayor of Tirana, Erion Veliaj, laid the first concrete slab of the new boulevard to be built in the capital, Tirana. When finished, the new boulevard will be double the size of the existing main thoroughfare, Deshmoret e Kombit, which runs through the centre of Tirana. This project is seen as the cornerstone of the ambitious TR030 urban plan, which aims to completely transform the capital by 2030. Partizan Belgrade have been banned from the Champions League and Europa League for the next three seasons because of unpaid debts, says Uefa. BBC reported that European football's governing body said the 2015 Serbian SuperLiga champions had broken rules on unpaid debts three times in the past five years. Uefa added that the club owed 2.5m euros in unpaid debts as of September 2016. U.S. Senator John McCain said on Wednesday that despite Vladimir Putin’s "dangerous and destabilising behaviour," Montenegro has not wavered. “Yesterday I spoke by phone with the Prime Minister of Montenegro, Dusko Markovic, about his country’s progress on the path of Euro-Atlantic integration, including Montenegro’s imminent accession to membership in NATO. The road for Montenegro has been challenging, made much more difficult by Russian meddling in its internal affairs, including recent attempts to interference with Montenegro’s elections held in October," McCain said. "Despite Vladimir Putin’s dangerous and destabilising behaviour, Montenegro has not wavered. 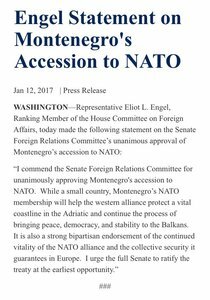 I look forward to welcoming Montenegro into the NATO Alliance and continuing to support its path towards further Euro-Atlantic integration”, he added. Calls for the EU and US to support the further “fragmentation” of Balkan states “where minorities demand it” are highly irresponsible and can only lead to more bloodshed. Read more. New general elections and the implementation of judicial reform will determine the orientation of a new government as well as affecting the country's EU perspectives. Read more. Croatian experts fear Slovenia's planned changes to the Aliens Act, heralding stricter procedures towards refugees and asylum seekers, could create problems for it. Read more. Croatian news agency HINA reported on Thursday that state-owned Croatia Airlines sold US Delta Airlines five of its nine flight slots at London’s Heathrow Airport for 18.3 million euros. The Croatian national carrier will now only fly to London Heathrow on Monday, Wednesday, Friday and Saturday afternoons. 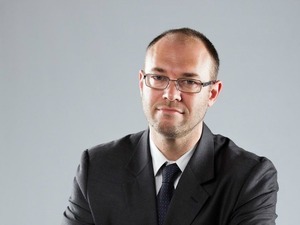 Croatia’s former Finance Minister and member of opposition centre-left Social Democratic Party, Boris Lalovac, announced on Thursday that he is leaving politics in order to clear his name of claims of physical abuse voiced by his former wife, Toncika Anastazija Lalovac. His ex-wife confirmed on Wednesday for controversial TV show Bujica her claims that Lalovac abused her. Responding to the claims, Lalovac said on Thursday that he did not commit domestic abuse, but that he will need to prove his innocence before the court. Former Kosovo Prime Minister Ramush Haradinaj has been released from custody in France where he was arrested last week on a warrant issued by Serbia for alleged war crimes, one of his lawyers, Arian Koci, confirmed to BIRN on Thursday. The appeals court in the French town of Colmar said he must stay in France under judicial supervision while the authorities consider whether to send him to Serbia to face war crimes charges. Serbia’s Foreign Minister, Ivica Dacic, told media on Thursday that Croatian President Kolinda Grabar Kitarovic’s recent statement that there is no fascism in Croatia is a lie and that in claiming so, she has verbally attacked Serbia.Dacic's statement came as a reaction to a recent interview that Grabar Kitarovic gave to Croatian Radio-Television, HRT, in which she stated that there is no fascism or nostalgia for the wartime Ustasa movement in today’s Croatia. 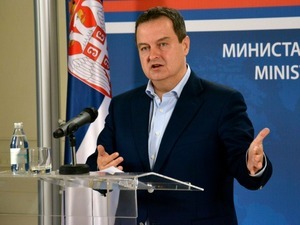 However, Dacic added that he does agree with the Croatian President that both Serbia and Croatia should focus on improving their future relations and dialogue between them, and not let emotions get in the way of solving the problems that exist between them. Repeat elections could take place in the Bosnian town of Stolac in late January or early February, according to statements by head of the Central Election Commission Irena Hadziabdic reported in local media. Bosnia's Central Election Commission this morning finally ruled to annul the elections in 23 of 24 polling stations in the municipality of Stolac, paving the way to decide on a new date for fresh polls. Local elections were held across the country in October last year, but no results were announced for Stolac because of serious irregularities in voting procedures. However the elections were not officially canceled until now because the Commission could not reach a consensus on how to move forward. Hadziabdic said the decision to annul could be appealed within two days. The president of the Bosnian Serb entity Republika Srpska, Milorad Dodik, has claimed that he has been denied a visa to travel to events surrounding US president-elect Donald Trump's inauguration on January 20, according to Banja Luka-based RTRS TV. Dodik's planned trip to Trump's inauguration has caused controversy in recent weeks. While Dodik claimed in late December that he had been invited to the inauguration ceremony by Trump's transition team, media in Bosnia reported that Dodik had never been invited to the official inauguration, but had only bought a ticket for one of the accompanying balls that take place in Washington on inauguration day. Dodik said at the time that he had requested and been denied a diplomatic visa. He claimed he was told by US officials to change his policies. World-renowned Croatian scientist Ivan Djikic, who specialises in the field of molecular biology, wrote to Croatia’s Prime Minister, Andrej Plenkovic, urging him to sack Science and Education Minister Pavo Barisic over the plagiarism accusations against him. 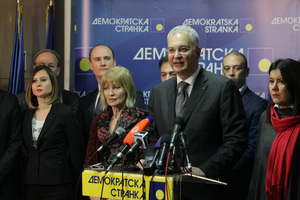 In his letter, Djikic claimed that Plenkovic should fire Barisic largely because the minister had escalated the plagiarism issue by saying that the premier was questioning why the public was so amused by part of a footnote in Barisic’s science paper titled 'Does Globalization Threaten Democracy', in which he is alleged to have plagiarised the work of a number of authors. Djikic also claimed that such an act can only come from a person who does not understand ethics and responsibility in the field of science and pointed to examples of German ministers who had to step down from their positions over plagiarised science work. Misa Vacic, an activist of the far-right 1389 Movement and an employee of the Serbian government's Kosovo Office, has been accused of threatening an NGO activist on Facebook. Read more. Top Croatian energy expert expresses doubt about claims that the energy company INA can retake control over its abandoned oil and gas fields in war-torn Syria. Read more. Analysts question NATO’s strategy of focusing on building up forces on its eastern flank - while ignoring growing Russian-inspired tensions in the Balkans. Read more. Serbian President Tomislav Nikolic told media on Friday that the decision of a French court to free former Kosovo Prime Minister Ramush Haradinaj, who was arrested on a Serbian warrant for alleged war crimes, will likely mean that the extradition request for him will be rejected. 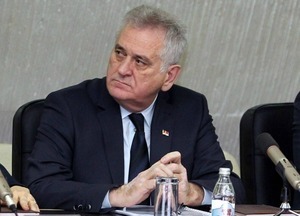 "In this atmosphere, there will be no justice for innocent Serbian victims of crimes committed by Albanians," Nikolic said. 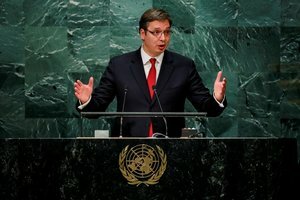 The Economist says that there has been “widespread disappointment” in the Balkans about the war crimes tribunal in The Hague, as the UN court enters its final year before shutting down. “The tribunal’s biggest failure was its inability to convince people in the former Yugoslavia that it was impartial,” argues The Economist. However the court did ensure that mass graves were exhumed and that 83 people were sentenced for wartime crimes, as well as leaving a huge archive as its legacy. As Balkans expert Eric Gordy tells The Economist, this is “definitely better than nothing - and most conflicts get nothing”. German-based tourism group TUI is interested in the Montenegrin market, but currently has no plans to disclose, a company official told SeeNews when approached for comment on media reports about potential acquisitions in the country. "In general, Montenegro is an interesting destination for the TUI Group. We have added capacity from several source markets and are continuously looking at new opportunities," the head of newsdesk/media international markets of TUI, Bernd Hoffmann, told SeeNews. On Wednesday, Montenegrin daily Vijesti reported, quoting unnamed sources, that TUI had secured a 200 million euro loan for the purchase of a nudist village on Ada Bojana island and Bellevue hotel in Ulcinj from hotel operator Ulcinjska Rivijera.